Cabalva Mill Cottage is an immaculately restored, one bedroom holiday cottage on the banks of the River Wye. Perfect for two - it makes for a wonderful romantic escape. 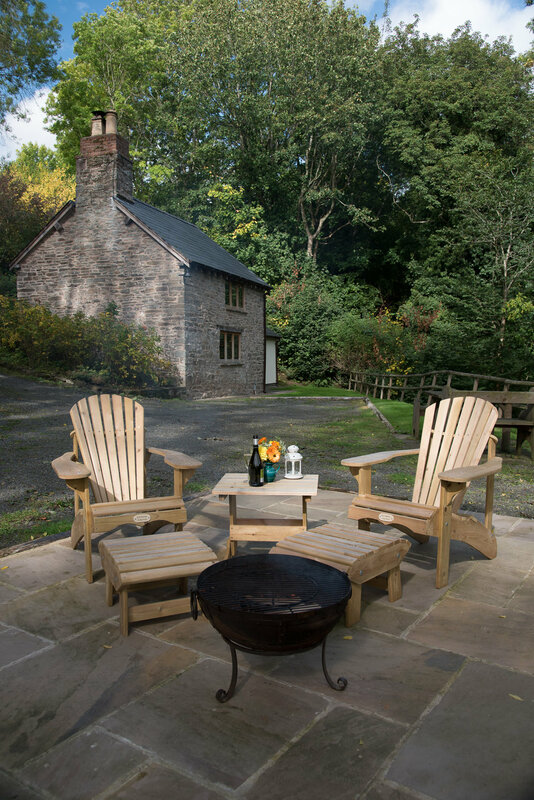 Set in secluded woodland beside a gently flowing waterfall, it’s the perfect place for romantics, naturalists, fishing enthusiasts (by prior arrangement) and anyone looking for a truly unique holiday retreat. You can read an article about us here. Over the last two years we have carried out a complete yet sympathetic restoration to the very highest standards. This means you can enjoy traditional features like the large fireplace, exposed stonework and oak flooring alongside absolute convenience and luxury. With its own private driveway, Cabalva Mill Cottage is situated on the Cabalva Estate, a family-run sheep and beef farm set in one of the most beautiful landscapes in the UK. We have traditional perry pear orchards, hedgerows and oak woodland – all overlooking the River Wye, Hay and the famous Black Mountains beyond. There’s a wide range of local activities for you to enjoy including, hill walking, cycling, riding, canoeing and of course, exploring the famous book town of Hay on Wye. Fishing from the cottage is available by prior arrangement. We are sorry but because of its proximity to the river Wye, Cabalva Mill Cottage is not suitable for children.